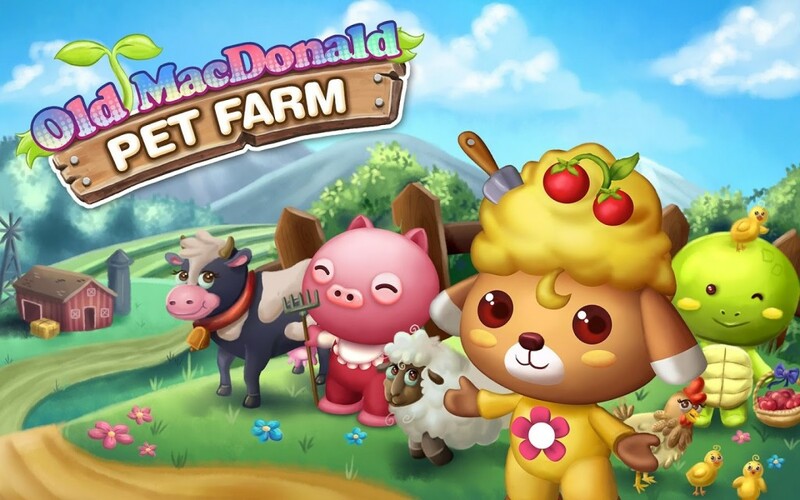 Enjoy the laid-back and peaceful farm life with the Pretty Pets in Old Macdonald Pet Farm! Join Cuby and his friends as they bring the old town back to life! Manage your own farm, raise livestock, craft produce, and grow crops with this farming simulation game Old MacDonald Pet Farm! You start with a small plot of land where you can build coops, pens, and patches of land for crops. You can also put up small factories to make dairy products, animal feeds, sugar, and more! Earn money by selling your crops and produce at the market, in your roadside stall, or to your friends and neighbors. Expand your land by chopping down trees and breaking down rocks. By decorating your farm, you can impress your friends and gain new followers. Be part of the community and help solve neighbor’s problems to bring the town to life! Play Pong with Cuby and the Pretty Pets! Pretty Pet Fruit Pong, the cutest ping pong and garden decoration game that you can play on your mobile device is now available, FREE! 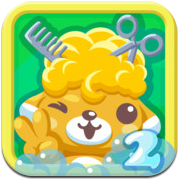 Cuby and his Pretty Pet friends plan to beautify their garden, but they need your help to decorate it! Play fruit ping pong to collect fruits, which you can sell! Use the basket to knock the fruits from the trees! Use your hard-earned coins to fill your garden with the cutest decorations and furniture! Compete with your friends and share pictures of your garden! With nearly 200 challenging levels, adorable visuals, and engaging gameplay, Pretty Pet Fruit Pong will surely keep you playing for hours! Let’s play pong with Cuby! 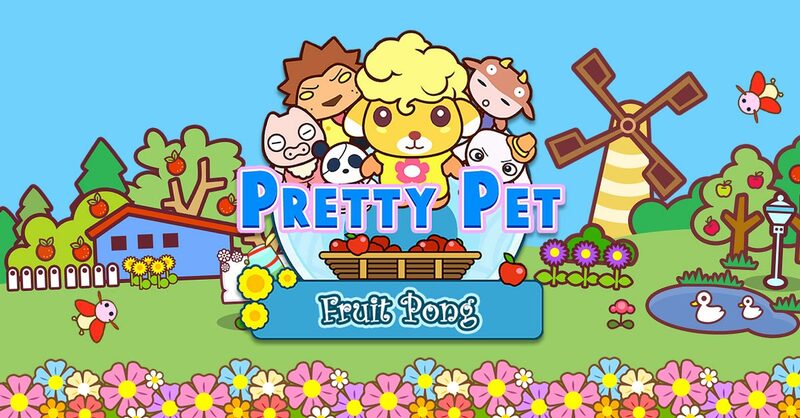 Download Pretty Pet Fruit Pong, FREE! Join the Pretty Pets for the Holidays! Welcome this coming holiday season with Cuby and gang and our most popular apps! 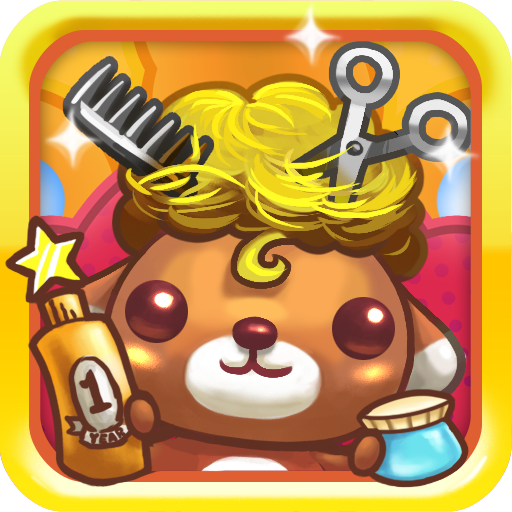 Experience more fun and excitement as you manage a new and improved pet salon in Pretty Pet Salon 2, or celebrate the original with the Pretty Pet Salon Anniversary edition! Relive the rush of daily shop operations as you serve pets, earn increase prof and upgrade your facilities to become the best in the business! Click on the images below to visit each app’s page, or check out our full catalog here! 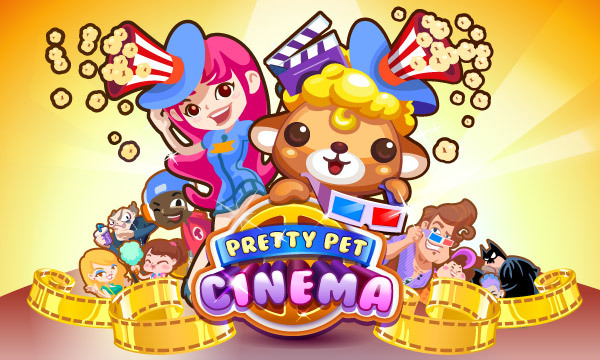 Help Cuby Run a movie theater in Pretty Pet Cinema, the latest addition to the Pretty Pet series. Pretty Pet Cinema is a cute and enthralling management sim where you help Cuby and the rest of the gang manage a cinema by selling movie tickets and snacks to eager moviegoers. Cuby and friends are back to serve popcorn and spin reels in Pretty Pet Cinema! Take your customers’ orders, and serve them quickly so they don’t get impatient and leave. Mind your frequent movie-goers’ habits, quirks, and favorites. Be prepared for peak hours when customers rush in droves. Purchase upgrades to keep up with increasing demand. With your speed and skill, you can turn Cuby’s cinema into the most popular theater in town! Enjoy free points this Halloween! 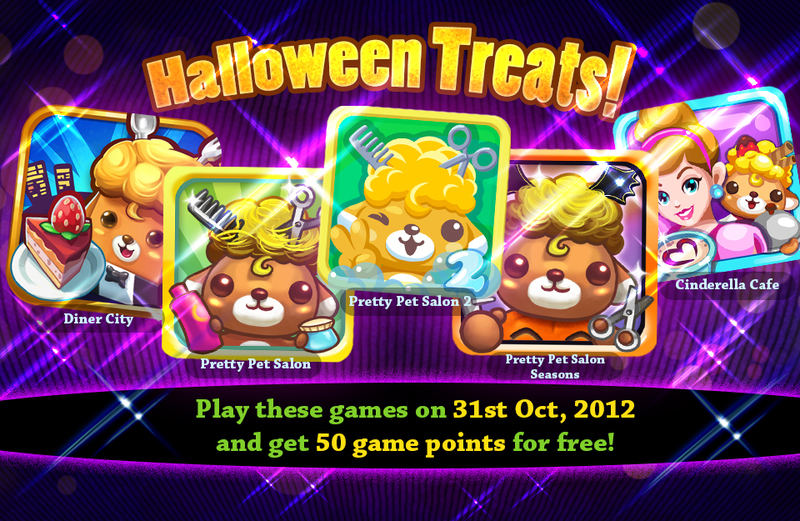 Play Pretty Pet Salon, Pretty Pet Salon 2, Pretty Pet Salon Seasons, Cinderella Cafe, or Diner City on October 31, 2012 and receive 50 free pet points! This is our Halloween treat to everyone and our way of saying thank you for your support. To receive the points, simply run any of those apps on October 31, 2012 according to your local time. A notification will appear and the points will automatically appear in your game.